Council Rep. Emanuel Mitchell, Sr. did a great job representing Central South Carpenters at a community event sponsored by unCommon Construction, a non-profit that creates high energy, impactful construction experiences that develop New Orleans’ hard-working high school students into team-oriented, resourceful leaders. The group held an industry showcase event at one of it’s learning job sites, where construction professionals from all sectors of the industry networked with unCommon apprentices. Mitchell, from Local 1846, talked with apprentices about the benefits on being a union carpenter. 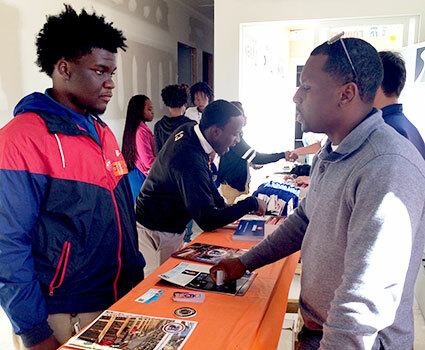 “What makes an unCommon Construction Apprenticeship so special is the unique and diverse community that surrounds and supports the students,” said organization spokesman, Aaron Frumin. The Central South Carpenters are always looking for new members. For more information, go to BeAProCarpenter.com.